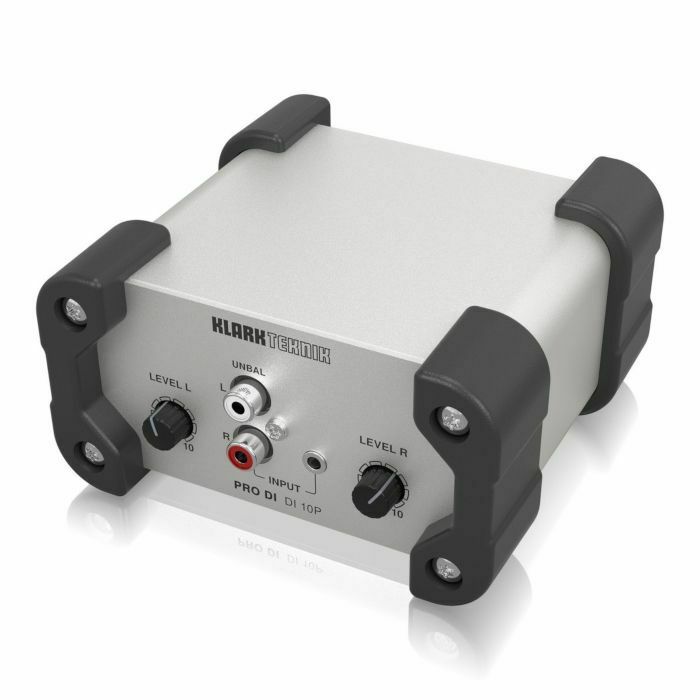 KLARK TEKNIK Klark Teknik Pro DI DI 10P Passive Direct DI Box vinyl at Juno Records. Lines open in 7 hrs 12 mins. 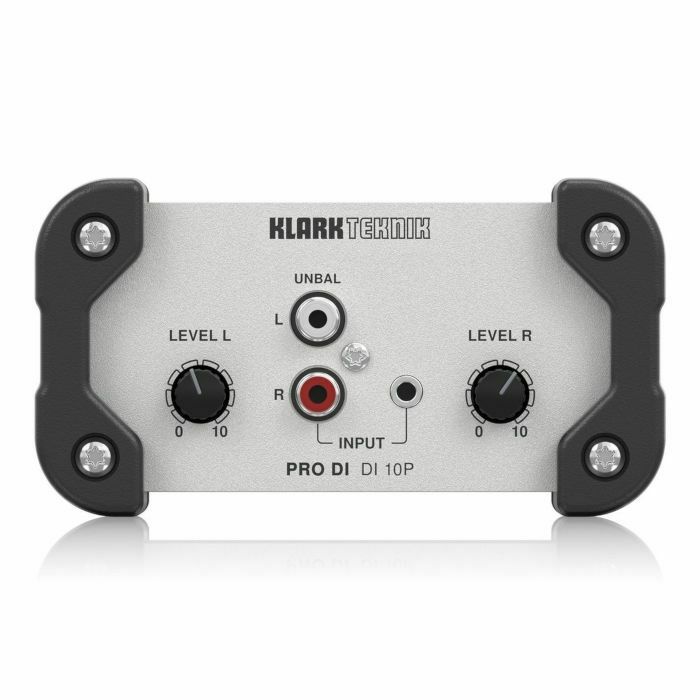 Building on KLARK TEKNIK's storied legacy of highest-quality direct injection devices, the DI 10P PRO DI offers the same high headroom, dynamic response and sonic clarity you have come to expect. 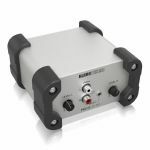 DI 10P is ideal for interfacing MP3, CD players, keyboard or drum submixers, and a variety of other stereo sources to mixing consoles. A passive device, the DI 10P does not require any form of external power to complete its mission. Equipped with a custom-built MIDAS transformer, fully adjustable independent level controls for the stereo input channels, DI 10P is the perfect stereo to mono XLR solution for professional audio and multimedia applications. MIDAS has earned their impeccable reputation due to their no-compromise approach for audio and build quality and in particular for their Award-winning products which are considered by industry experts as the industry's best sounding designs. Building on this legacy, the XL8 and PRO Series of Live Mixing Systems continue this great heritage of Award-winning audio quality. 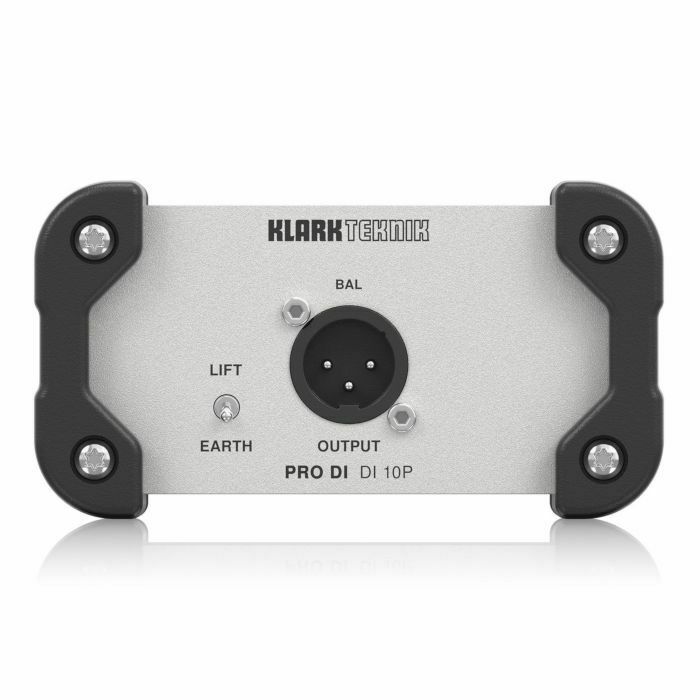 KLARK TEKNIK is proud to incorporate MIDAS designed transformers for the ultimate in high-quality audio reproduction in both live and studio environments. Find out more about MIDAS? amazing legacy by visiting their extensive website. A custom instrumentation-grade input circuit was designed for the DI 10P using advanced analogue design techniques to create the ideal input impedance match. This innovative approach provides an ultra-low noise, low harmonic and phase distortion input stage with a ruler-flat frequency response that ranges from 10 Hz to 91 kHz (+/- 1 dB). DI 10P PRO DI features unbalanced stereo Left & Right RCA and 1/8" TRS Input connectors, and a high quality Neutrik Output XLR jack that sends a balanced, summed mono version of the input to your mixing board or other processing device. Featuring high-precision Left and Right Level controls, the DI 10P easily accommodates a wide range of input signals. The Earth Lift switch separates the input and output grounds, eliminating earth loops between equipment on different mains electricity supplies. DI 10P's fully transformer-isolated design further ensures pristine performance - even in large-scale production environments.